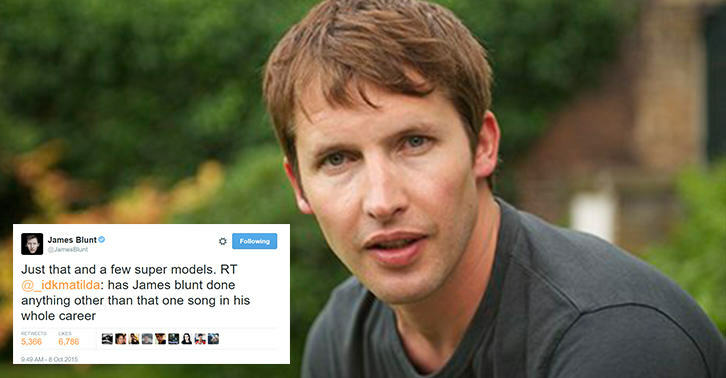 Whether you like his music or not, there is no denying that James Blunt is the undisputed King of Twitter. This year was no exception, with 2015 seeing some classic Blunt action on social media. There were the usual witty takedowns of foolish people who tried to get the better of him with some ‘scathing’ insults, as well as some immodest – yet accurate – statements. ANNOUNCEMENT: In keeping with other greats such as Prince, J Lo and Diddy, I announce that henceforth, I am to be known only as J Blo. Love him or hate him, there’s no denying he wins Twitter.